At one point in our vacay at Koh Samui, my family and I had one meal away from Thai food to fine dining at The Cliff Bar and Grill for a fusion international fare. It took quite awhile to drive over here from Muang Samui Villas and Suites but the trip was so worth it and the view was spectacular.We had an option of sitting indoors or outdoors with a view of the ocean between two mountains and we chose outdoors of course. The sea breeze was perfect, the ocean was blue and clear until it started raining so we moved back in. Regardless of the gloomy weather due to monsoon season, the food was excellent. I have never tasted such perfectly grilled fish with such a juicy bite and crispy spice infused outer. 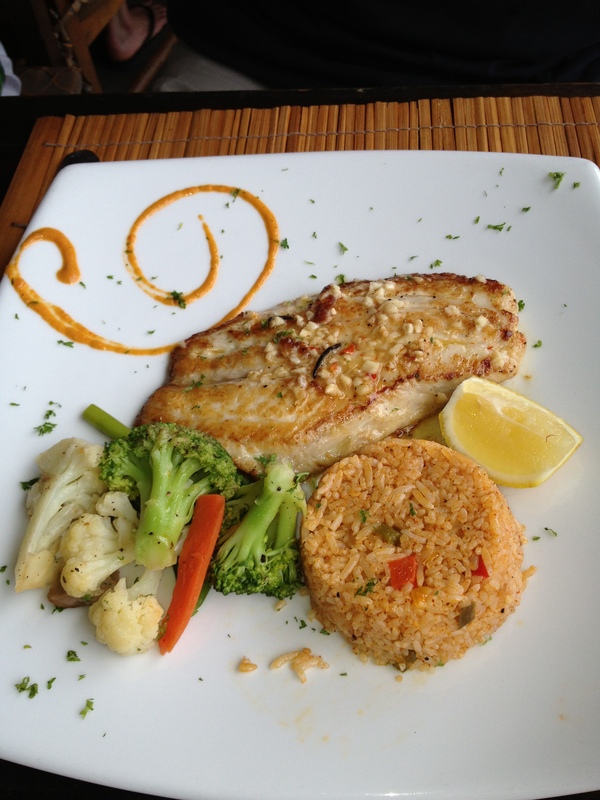 This is their “Grilled Catch of the Day“ with Italian lemons and herbs, Spanish fried rice that was deliciously tossed in a light tomato sauce and a side of healthy greens. Everything on this plate complimented each other so well, and I am hoping that I can come back for more when I go to Koh Samui again. 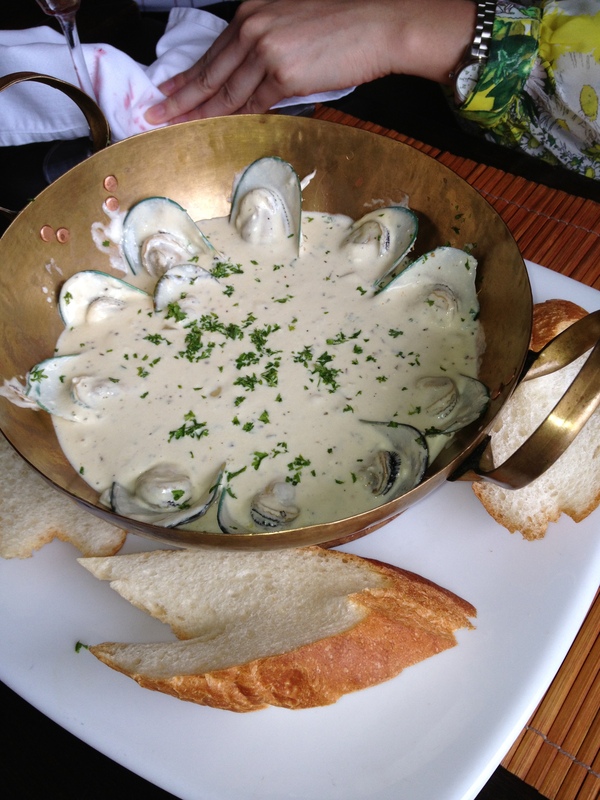 My eyes widened when I saw the “Cozze al Vino Bianco“ and that metal bowl of goodness with New Zealand mussels in creamy white wine sauce cooked in a traditional Portugese style. The best part of this dish was dipping the slices of baguette into the sauce and eating the mussels along with it, it was heaven melting in my mouth. The best “White Russian” I have ever had with Baileys added to my request. 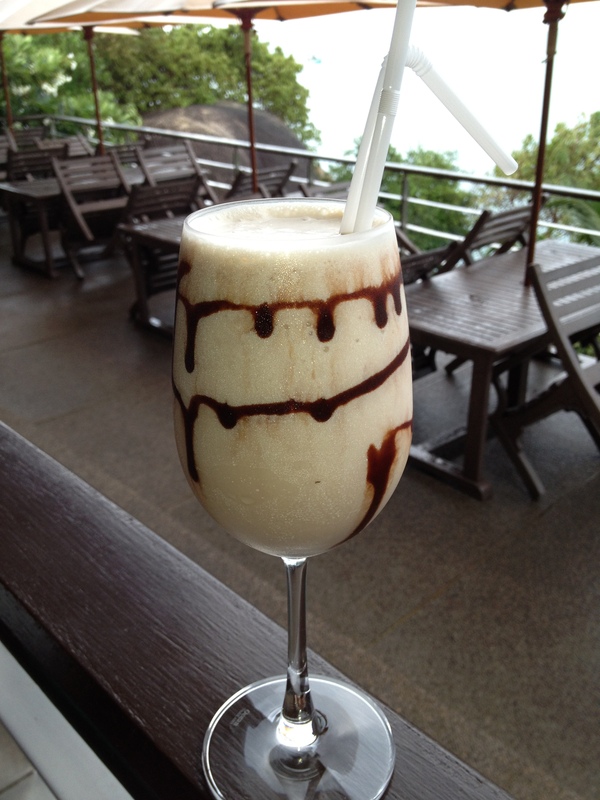 It was creamy, chocolately, milky and thick like a milkshake but with Ketel One vodka, Bailey’s, and Kahlua. This is the grown up’s version of a Ying Yang milkshake. By this time, you should realize that my whole family loves seafood. 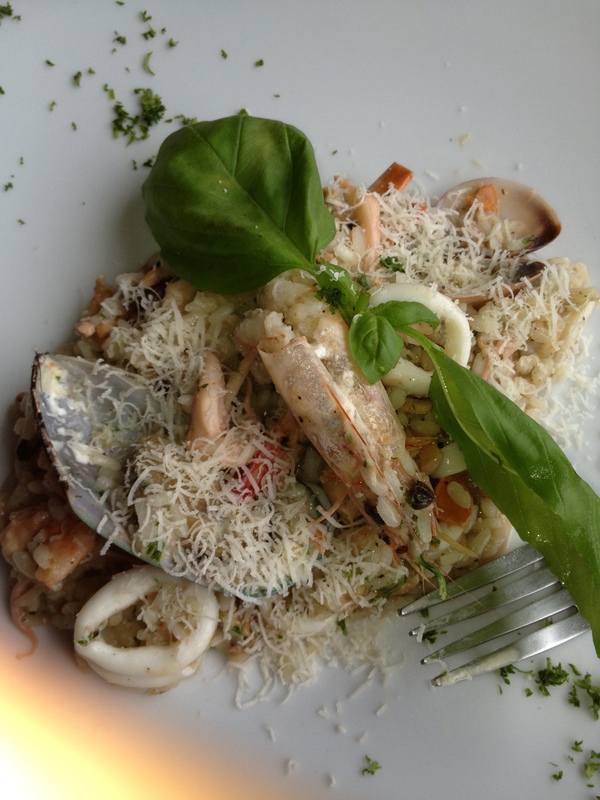 This is the “Risotto Ai Fruttie di Mare“ created with Italian risotto, prawn, calamari, mussels stirred with creamy white sauce with a sprinkle of parmesan cheese. I wish they gave us more seafood.